Property development is almost in Peter Rorke’s DNA. For many years, he has been involved with it, either on the periphery or at the heart of the action - project managing sizeable developments. But his enthusiasm for the task was really fired whilst working on the construction requirements for the 2000 Olympics in Sydney, Australia. In the Australian city, Peter was responsible for the recruitment of several levels of construction workers for the Olympic sites - from labourer to project manager, from architect to engineer. So it is little wonder that once back in Scotland, he was eager to embark upon his own property developments, armed with relish and in-depth experience of all the requisite processes. That is why he set about developing a site of eight, three-bedroom terraced houses in Cambuslang, having already worked on a development of 32 flats in Motherwell, Lanarkshire and luxury ‘executive-style‘ properties. More recently, he transformed a disused church building in Loanhead, just outside Edinburgh, into 10 spacious, modern flats, whilst managing to retain stunning original features. 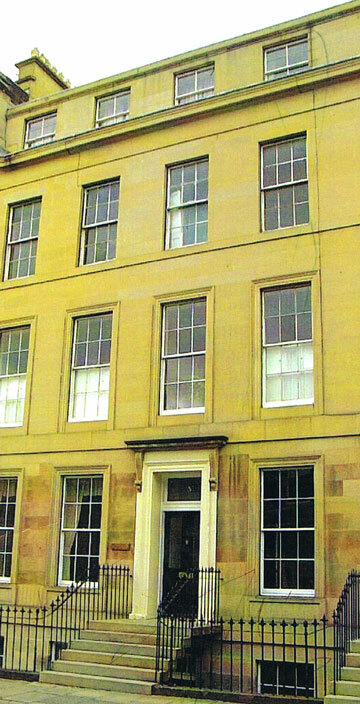 He has also found time to tackle a major refurbishment of a listed Georgian property in Edinburgh’s West End, right in the heart of Scotland’s capital. Whilst continuing to direct his construction-focused recruitment business, he is constantly researching suitable sites for development, wherever they may be. Having studied part-time for his MBA qualification, Peter combines a sharp business intellect with a shrewd business sense. It is that winning combination of business ’smarts’ and an experienced holistic approach that sets him apart - whether in the field of construction recruitment or innovative property development projects. You could almost say it is the ’cornerstone’ of his success.